The Moose (also called an Elk if you’re British) is the largest extant species of deer in the world. They have a circumboreal distribution and tend to be found most often around lakes and rivers in coniferous and mixed deciduous forests. 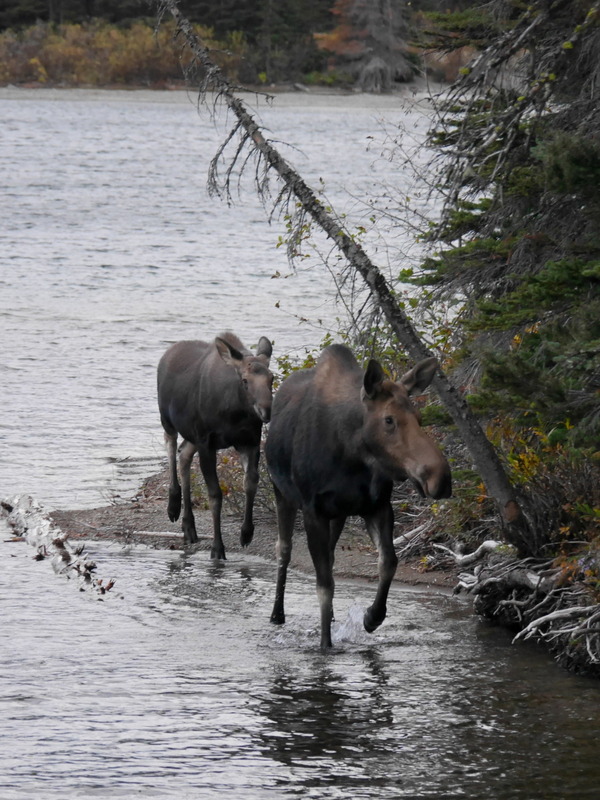 The southernmost extent of the Moose’s global range occurs here in the northwestern United States. Southern Idaho is home to the largest herds of these southern residents, but small populations can also be found as far south as Utah and Colorado. In the fall, when bulls enter the rut and cows are protecting their calves, Moose are considered the most dangerous species to encounter here in Glacier National Park. In fact, in North America Moose kill more people annually than deer, bears, and mountain lions combined (including vehicle collisions).